The House Appropriations Committee voted Thursday, May 17, to continue the ban on justice department funds being used to prosecute state medical marijuana patients or providers that are operating under a state’s legal medical marijuana program. The provision has been inserted into each budget since 2014 and most recently labeled the Rohrabacher-Blumenauer amendment. The amendment was added directly from the House floor, not by a committee, and was extended each year by default with each continuing resolution on the budget. In a surprise move the committee joined together in bi-partisan support of the amendment, which was introduced to the committee by Republican Rep. David Joyce of Ohio. With strong support this session, the amendment was adopted by a simple voice vote. The growing number of states that are enacting medical cannabis laws in recent years means that far more members of Congress represent constituents who stand to be harmed by the spending riders’ disappearance, however, so advocates felt comfortable placing the measure before the committee this year. Angell opines further in his article that it is likely a good move to take Rep. Dana Rohrabacher’s name off the amendment, explaining that he is in serious trouble to lose his seat in his California district. He also points out that Rohrabacher is very pro-Russia which has damaged his reputation on the hill with the investigations into Russian meddling in our 2016 election. 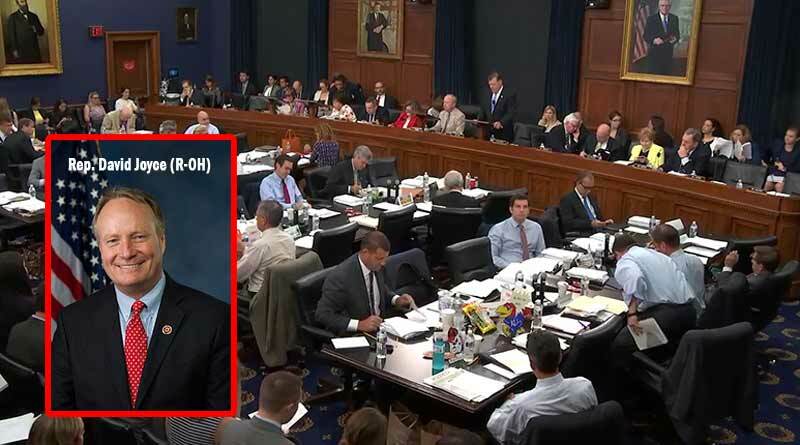 “Now, because the measure was successfully attached to the 2019 Justice Department bill by Joyce, it is the Ohio congressman’s name – and not Rohrabacher’s – that will likely appear at the top of congressional sign-on letters about it, probably making it more likely that fellow GOP members will more seriously consider supporting its extension,” Angell explains.